The United States Army (abbreviated USA stylised as U.S.A. ) is the main branch of the United States Armed Forces responsible for land-based military operations. It is the largest and oldest established branch of the U.S. military, and is one of seven U.S. uniformed services. The modern army has its roots in the Continental Army which was formed on 14 June 1775, to meet the demands of the American Revolutionary War before the establishment of the United States. The Congress of the Confederation officially created the United States Army on 3 June 1784 after the end of the Revolutionary War to replace the disbanded Continental Army. The army considers itself to be descended from the Continental Army and thus dates its inception from the origins of that force. The Continental Army was created on 14 June 1775 by the Continental Congress as a unified army for the colonies to fight Great Britain, with George Washington appointed as its commander. The army was initially led by men who had served in the British Army or colonial militias and who brought much of British military heritage with them. As the Revolutionary War progressed, French aid, resources, and military thinking influenced the new army. A number of European soldiers came on their own to help, such as Friedrich Wilhelm von Steuben, who taught the army Prussian tactics and organizational skills. The War of 1812, the second and last American war against Britain, was less successful than the Revolution had been. Despite the Burning of York and Death of Tecumseh which caused his Indian confederacy to collapse, an invasion of Canada failed, and U.S. troops were unable to stop the British from burning the new capital of Washington, D.C.. However, the Regular Army, under Generals Alexander Macomb and Samuel Smith, proved they were professional and capable of defeating the British army during the invasions of Plattsburgh and Baltimore, and the relatively small US Navy, often attached with Marines, earned most of the victory against the Royal Navy at sea. Two weeks after a treaty was signed, Andrew Jackson defeated the British in the Battle of New Orleans and became a national hero. Per the treaty both sides returned to the status quo with no victor. The army's major campaign against the Indians was fought in Florida against Seminoles. It took long wars (1818–1858) to finally defeat the Seminoles and move them to Oklahoma. The usual strategy in Indian wars was to seize control of the Indians winter food supply, but that was no use in Florida where there was no winter. The second strategy was to form alliances with other Indian tribes, but that too is no use because the Seminoles had destroyed all the other Indians when they entered Florida in the late eighteenth century. For the first two years Confederate forces solidly defeated the U.S. Army, with a few exceptions. The Confederates had the advantage of defending a very large country in an area where disease caused twice as many deaths as combat. The Union pursued a strategy of seizing the coastline, blockading the ports, and taking control of the river systems. By 1863 the Confederacy was being strangled. Its eastern armies did very well in combat, but the western armies were defeated one after another until New Orleans was lost in 1862 along with the Tennessee River, the Mississippi River was lost in 1863, and Atlanta fell in 1864. Grant took command of Union forces in 1864 and after a series of battles with very heavy casualties, he had Lee under siege in Richmond. Lee lost his Confederate capital in April 1865 and was captured at Appomatox Courthouse; the other Confederate armies quickly surrendered. Following the Civil War, the U.S. Army fought a long battle with several western tribes of Native Americans. The U.S. joined World War II after the Japanese attack on Pearl Harbor. On the European front, U.S. Army troops formed a significant portion of the forces that captured North Africa and Sicily. On D-Day and in the subsequent liberation of Europe and defeat of Nazi Germany, millions of U.S. Army troops played a central role. In the Pacific, army soldiers participated alongside U.S. Marines in capturing the Pacific Islands from Japanese control. Following the Axis surrenders in May (Germany) and August (Japan) of 1945, army troops were deployed to Japan and Germany to occupy the two defeated nations. Two years after World War II, the Army Air Forces separated from the army to become the United States Air Force in September 1947 after decades of attempting to separate. Also, in 1948, the army was desegregated by order of President Harry S. Truman. The Vietnam War is often regarded[by whom?] as a low point for the army due to the use of drafted personnel, the unpopularity of the war with the American public, and frustrating restrictions placed on the military by American political leaders. While American forces had been stationed in the Republic of Vietnam since 1959, in intelligence & advising/training roles, they did not deploy in large numbers until 1965, after the Gulf of Tonkin Incident. American forces effectively established and maintained control of the "traditional" battlefield, however they struggled to counter the guerrilla hit and run tactics of the communist Viet Cong and the North Vietnamese Army. On a tactical level, American soldiers (and the U.S. military as a whole) did not lose a sizable battle. During the 1960s the Department of Defense continued to scrutinize the reserve forces and to question the number of divisions and brigades as well as the redundancy of maintaining two reserve components, the Army National Guard and the Army Reserve. In 1967 Secretary of Defense Robert McNamara decided that 15 combat divisions in the Army National Guard were unnecessary and cut the number to 8 divisions (1 mechanized infantry, 2 armored, and 5 infantry), but increased the number of brigades from 7 to 18 (1 airborne, 1 armored, 2 mechanized infantry, and 14 infantry). The loss of the divisions did not set well with the states. Their objections included the inadequate maneuver element mix for those that remained and the end to the practice of rotating divisional commands among the states that supported them. Under the proposal, the remaining division commanders were to reside in the state of the division base. No reduction, however, in total Army National Guard strength was to take place, which convinced the governors to accept the plan. The states reorganized their forces accordingly between 1 December 1967 and 1 May 1968. Army Rangers from the 1st Ranger Battalion conduct a MOUT exercise at Fort Bragg. 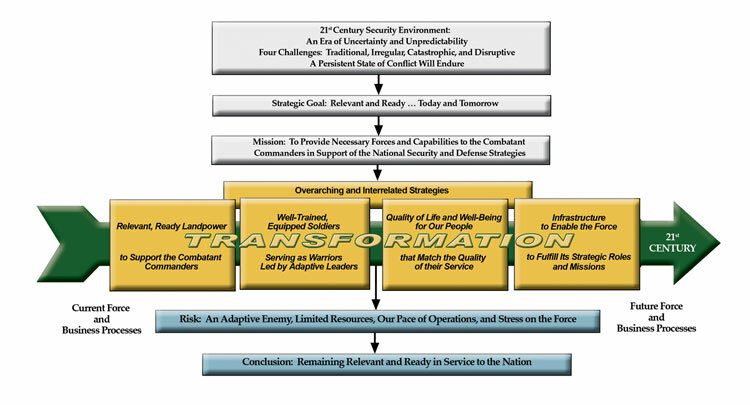 The army's chief modernization plan was the FCS program. Many systems were canceled and the remaining were swept into the BCT modernization program. In response to Budget sequestration in 2013 the army is planned to shrink to a size not seen since the WWII buildup. The army is led by a civilian Secretary of the Army, who has the statutory authority to conduct all the affairs of the army under the authority, direction and control of the Secretary of Defense. The Chief of Staff of the Army, who is the highest-ranked military officer in the army, serves as the principal military adviser and executive agent for the Secretary of the Army, i.e. its service chief; and as a member of the Joint Chiefs of Staff, a body composed of the service chiefs from each of the four military services belonging to the Department of Defense who advise the President of the United States, the Secretary of Defense, and the National Security Council on operational military matters, under the guidance of the Chairman and Vice Chairman of the Joint Chiefs of Staff. In 1986, the Goldwater-Nichols Act mandated that operational control of the services follows a chain of command from the President to the Secretary of Defense directly to the unified combatant commanders, who have control of all armed forces units in their geographic or function area of responsibility. Thus, the secretaries of the military departments (and their respective service chiefs underneath them) only have the responsibility to organize, train and equip their service components. The army provides trained forces to the combatant commanders for use as directed by the Secretary of Defense. Armor brigades will have around 3,700 troops and be equivalent to a mechanized infantry or tank brigade. Stryker brigades will have around 3,900 troops and be based on the Stryker family of vehicles. Infantry brigades will have around 3,300 troops and be equivalent to a light infantry or airborne brigade. The U.S. Army currently consists of 10 active divisions as well as several independent units. The force is in the process of contracting after several years of growth. In June 2013, the Army announced plans to downsize to 32 active combat brigade teams by 2015 to match a reduction in active duty strength to 490,000 soldiers. The Army has yet to announce cuts to its supporting structure, and many observers think the Army will eventually shrink to around 400,000 active duty troops. 173rd Airborne Brigade Combat Team Vicenza, Italy Infantry BCT (Airborne): 2 airborne infantry battalions in Vicenza. 1 cavalry squadron in Schweinfurt, Germany. 1 special troops battalion, 1 airborne field artillery battalion & 1 support battalion at Warner Barracks in Bamberg, Germany. 2nd Cavalry Regiment Vilseck, Germany Stryker BCT: 6 squadrons: 1st, 2nd & 3rd (Stryker Infantry), 4th (RSTA), Fires Squadron (3x6 155 mm towed artillery), & Regimental Support Squadron; 5 troops: Regimental HQ, Military Intelligence, Signal, Engineer & Anti-Armor. 3rd Cavalry Regiment Fort Hood, TX Stryker BCT: 6 squadrons: 1st, 2nd & 3rd (Stryker Infantry), 4th (RSTA), Fires Squadron (3x6 155 mm towed artillery), & Regimental Support Squadron; 5 troops: Regimental Headquarters, Military Intelligence, Signal, Engineer & Anti-Armor. 11th Armored Cavalry Regiment Fort Irwin, CA Armored Cavalry Regiment One tank squadron, one mechanized infantry squadron and one support squadron augmented by an Army National Guard field artillery battalion and reconnaissance squadron. Also serves as Opposing Force (OPFOR) at National Training Center (NTC). Special Forces Command (Airborne) (Green Berets) Ft. Bragg, NC Seven groups (five active, two National Guard) capable of unconventional warfare, foreign internal defense, special reconnaissance, direct action, and counter-terrorism. 75th Ranger Regiment (Rangers) Ft. Benning, GA Three maneuver battalions and one special troops battalion of elite airborne infantry specializing in direct action raids and airfield seizures. 1st Special Forces Operational Detachment-Delta (Delta Force) Ft. Bragg, NC Elite special operations & counter-terrorism unit under the control of Joint Special Operations Command. Sergeants and corporals are referred to as NCOs, short for non-commissioned officers. This distinguishes them from specialists who might have the same pay grade, but not the leadership responsibilities. Privates (E1 and E2) and privates first class (E3) are addressed as 'Private (last name)', specialists as 'Specialist (last name), corporals as 'Corporal (last name)', and sergeants, staff sergeants, sergeants first class, and master sergeants all as 'Sergeant (last name).' First sergeants are addressed as 'First Sergeant (last name)' and all sergeants major as 'Sergeant Major (last name)'. ² SP4 is sometimes encountered in lieu of SPC for specialist. This is a holdover from when there were additional specialist ranks at higher pay grades. Training in the United States Army is generally divided into two categories – individual and collective. Basic training consists of 10 weeks for most recruits followed by AIT (Advanced Individualized Training) where they receive training for their MOS (military occupational specialties). While the length of AIT school varies by the MOS, some individuals MOS's range anywhere from 14–20 weeks of One Station Unit Training (OSUT), which combines Basic Training and AIT. The length of time spent in AIT depends on the MOS of the soldier. Depending on the needs of the army, Basic Combat Training is conducted at a number of locations, but two of the longest-running are the Armor School and the Infantry School, both at Fort Benning, Georgia. Following these basic and advanced training schools, soldiers may opt to continue with their training and apply for an "ASI" which stands for "additional skill identifier". The ASI allows the army to take a wide ranging MOS and taper it into a more unique MOS. For instance, take a combat medic whose duties are to provide pre-hospital emergency care. With an ASI the medic can receive additional training and become a cardiovascular specialist, a dialysis specialist or even a licensed practical nurse. For officers this training includes pre-commissioning training either at USMA, ROTC, or OCS. After commissioning, officers undergo branch specific training at the Basic Officer Leaders Course, (formerly called Officer Basic Course) which varies in time and location based on their future jobs. Further career development is available through the Army Correspondence Course Program. Collective training takes place both at the unit's assigned station, but the most intensive collective training takes place at the three combat training centers (CTC); the National Training Center (NTC) at Fort Irwin, California, the Joint Readiness Training Center (JRTC) at Fort Polk, Louisiana, and the Joint Multinational Training Center (JMRC) at the Hohenfels Training Area in Hohenfels, Germany. 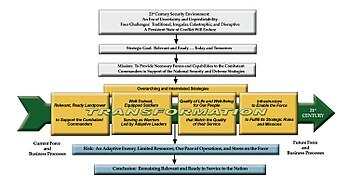 ARFORGEN is the Army Force Generation process approved in 2006 to handle the need for continuous replenishment of forces for deployment, at unit level, and for other echelons as required by the mission. Weapons from the Vietnam War and Persian Gulf War on display at the National Firearms Museum. Many units are supplemented with a variety of specialized weapons, including the M249 SAW (Squad Automatic Weapon), to provide suppressive fire at the fire-team level. Indirect fire is provided by the M203 grenade launcher. The M1014 Joint Service Combat Shotgun or the Mossberg 590 Shotgun are used for door breaching and close-quarters combat. The M14EBR is used by long-range marksmen, and the M107 Long Range Sniper Rifle, the M24 Sniper Weapon System, and the M110 Semi-Automatic Sniper Rifle are used by snipers. Hand grenades, such as the M67 fragmentation grenade and M18 smoke grenade, are also used. The army's most common vehicle is the High Mobility Multipurpose Wheeled Vehicle (HMMWV), commonly called the Humvee, which is capable of serving as a cargo/troop carrier, weapons platform, and ambulance, among many other roles. While they operate a wide variety of combat support vehicles, one of the most common types centers on the family of HEMTT vehicles. The M1A2 Abrams is the army's main battle tank, while the M2A3 Bradley is the standard infantry fighting vehicle. Other vehicles include the M3A3 Bradley, the Stryker, and the M113 armored personnel carrier, and multiple types of Mine Resistant Ambush Protected (MRAP) vehicles. The Armor Branch traces its origin to the Cavalry. A regiment of cavalry was authorized to be raised by the Continental Congress Resolve of 12 December 1776. Although mounted units were raised at various times after the Revolution, the first in continuous service was the United States Regiment of Dragoons, organized in 1833. The Tank Service was formed on 5 March 1918. The Armored Force was formed on 10 July 1940. Armor became a permanent branch of the army in 1950. Continental Congress authority for a "Chief Engineer for the Army" dates from 16 June 1775. A corps of engineers for the United States was authorized by the Congress on 11 March 1789. The Corps of Engineers as it is known today came into being on 16 March 1802, when the President was authorized to "organize and establish a Corps of Engineers ... that the said Corps ... shall be stationed at West Point in the State of New York and shall constitute a Military Academy." A Corps of Topographical Engineers, authorized on 4 July 1838, was merged with the Corps of Engineers on March 1863. ↑ Wright, Jr., Robert K. (1983). The Continental Army (Army Lineage Series). Washington, DC: Center of Military History, United States Army. ISBN 9780160019319. OCLC 8806011. http://www.history.army.mil/books/RevWar/ContArmy/CA-fm.htm. ↑ "10 USC 3062: Policy; composition; organized peace establishment". US House of Representatives. http://uscodebeta.house.gov/view.xhtml?req=granuleid:USC-prelim-title10-section3062&num=0&edition=prelim. Retrieved 21 Aug 13. ↑ The Human Cost of the War in Iraq: A Mortality Study, 2002–2006 PDF (603 KB). By Gilbert Burnham, Shannon Doocy, Elizabeth Dzeng, Riyadh Lafta, and Les Roberts. A supplement to the second Lancet study. ↑ SHANKER, THOM; COOPER, HELENE (23 February 2014). "Pentagon Plans to Shrink Army to Pre-World War II Level". The New York Times Company. http://www.nytimes.com/2014/02/24/us/politics/pentagon-plans-to-shrink-army-to-pre-world-war-ii-level.html. Retrieved 23 February 2014. ↑ "Commanding General". 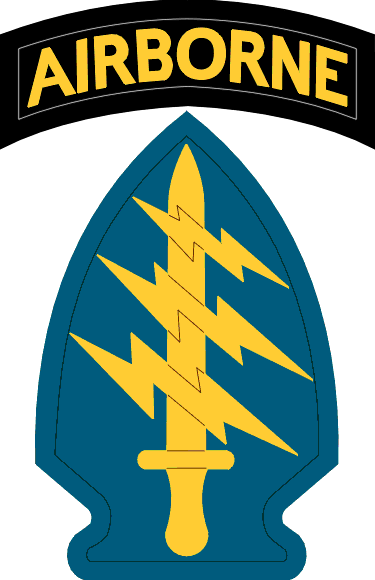 United States Army, Surface Deployment and Distribution Command. 7 September 2010. http://www.sddc.army.mil/Who/Biographies/commandinggeneralbiography07sept10.pdf. Retrieved 26 February 2012. ↑ "Army to cut 10 BCTs, reorganize the rest | Army Times". armytimes.com. http://www.armytimes.com/article/20130626/NEWS05/306260012/Army-cut-10-BCTs-reorganize-rest. Retrieved 2013-07-10. ↑ 43.0 43.1 43.2 From the Future Soldiers Web Site. ↑ Lopez, C. (20 February 2010). 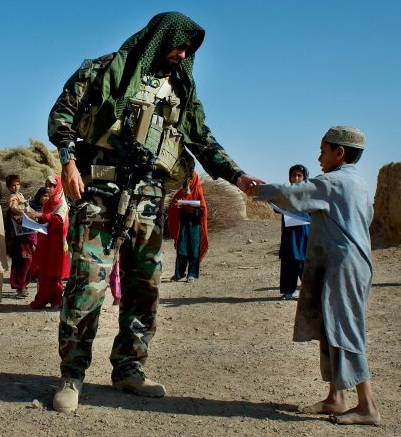 "Soldiers to get new cammo pattern for wear in Afghanistan". US Army. US Army. http://www.army.mil/-news/2010/02/20/34738-soldiers-to-get-new-cammo-pattern-for-wear-in-afghanistan/?ref=news-home-title0. Retrieved 22 February 2010. ↑ "Transportation School at Fort Lee prepares for first students | Article | The United States Army". Army.mil. 2010-09-17. http://www.army.mil/article/45328/Transportation_School_at_Fort_Lee_prepares_for_first_students/. Retrieved 2013-07-10. Bluhm, Jr,, Raymond K. (Editor-in-Chief); Andrade, Dale; Jacobs, Bruce; Langellier, John; Newell, Clayton R.; Seelinger, Matthew (2004). U.S. Army: A Complete History (Beaux Arts ed.). Arlington, VA: The Army Historical Foundation. p. 744. ISBN 978-0-88363-640-4.